Froman has evidently been busying himself with a different diplomatic process altogether. Fact sheets barely cut the mustard, and he can hardly resort to the term transparency in this, given that Congress insisted in its Trade Priorities and Accountability Act that the President make the proposed text public for at least 60 days before signing the agreement. This damning nonsense suggests that Froman and his colleagues are dangling a very different agreement in the sale than what they are in practice. The usual magical numbers are paraded – the elimination of 18,000 individual taxes on US products, the obsession with “made-in-USA”. This says nothing about translating the matter into actual, direct employment to US employees, nor does it bode well for the other signatory states. As they should. There is minimal attention in the agreement paid to environmental factors, which demonstrates that the trade deal would entail a genuine trade off on matters of climate and degradation. There are mere mutterings on the issue of conservation more broadly speaking, biodiversity and trade in environmental services. And the most conspicuous omission of all is that of the term “climate change” itself. 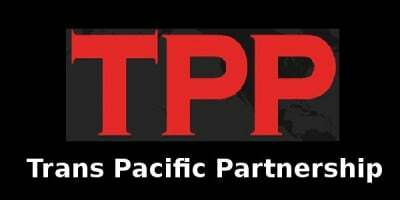 In the case of the US, it is simply not clear whether the TPP Environment Chapter actually rolls back the May 2007 environmental standards Democrats in Congress impressed upon the Bush administration in making trade agreements. In the haggling, it was clear that several negotiating states, Malaysia foremost amongst them, were not happy to deal with the presence of various Multilateral Environmental Agreements that would have to be enforced. Watering down was inevitable. As was already revealed in the various chapters released by WikiLeaks, the overwhelming emphasis in the agreement is the vesting of power, or should we say more power, in global corporate agents. Froman is certainly right in terms of enforceability in one sense. Corporate interests can well prevail over those of the state. These particular entities, being profit maximisers, have been granted the means in a more global sense to sue governments for diminished profits if facing policies pernicious to their trading interests. Again, environmental policy, in this regard, is set for a pounding. The same can be said for general public interest issues – health, for instance, or standards of employment. The former makes no suggestion that domestic medical systems have been immunised from the reach of big pharmaceutical interests. Other industries as well, notably those which have detrimental effects on health, such as tobacco, have reasons to celebrate as well, given the latent ambiguity on profit protection. These areas all entail standards that do not bode well with vast money making ventures. The same goes for human rights standards more generally, which have seemingly vanished, or at the very least been demoted, in the discussions. The text certainly says nothing about those in violation of human rights conventions. Will there be any wrist slapping for offenders? The release of the text, with its provisions foreshadowed in previous leaked drafts, now enables the various parliaments of the twelve states to debate the matter with varying degrees of thoroughness. Most are more likely to take the sauce offered them and vote for it, fearing such labels as protectionism and isolationism. The US Congress is unlikely to refuse it, but there are still voices of discontent over the lack of enforceable currency rules, and the issue of dispensations being made to various countries in specific areas. There is also a manifest unevenness that will prove telling in the event of implementation. States such as Vietnam have a five-year pass on the issue of implementing complimentary labour standards. Given that there are also vast differences in the basic minimum wage in Vietnam, the notion that US, Australian or Canadian workers would be in an equal position of competition is patent nonsense. Companies will do the rest, exerting a downward pressure on wages on other parts of the zone. There is no reason why off shoring will continue with greater enthusiasm than ever. Welcome, in other words, to a rather grizzly future touched up in Orwellian dress.